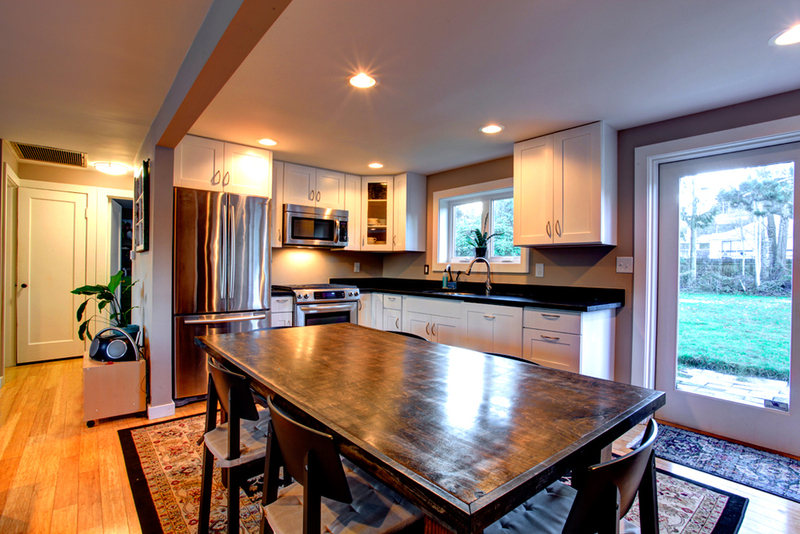 This project involved a full remodel of a distressed foreclosed HUD property. The original scope of work was to update finishes, flooring, paint, windows, bathroom, kitchen and garage (to add additional living space). As the project progressed, the scope of work expanded to a full re-pipe using new Pex plumbing, and a re-wire and replacement of all existing outlets, as well as removal of a load bearing wall to open the main living area. 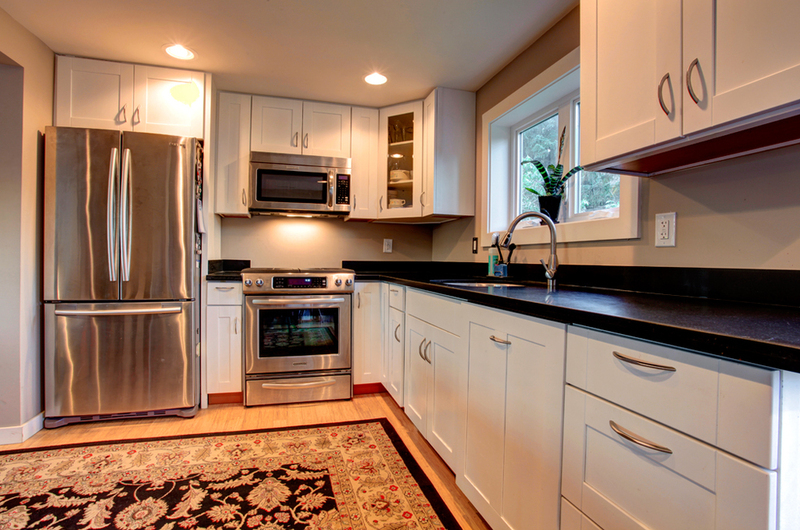 The Kitchen received all new cabinets, appliances and new honed granite countertops. The bathroom renovation included removal of the existing cast iron tub, and replacement with new full height custom tile shower surround. Energy efficiency was considered, using new VPI Endurance series vinyl windows throughout, and over-insulation of existing attic space.